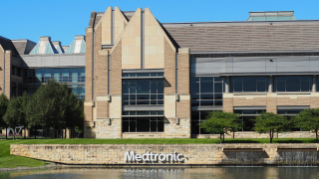 Medtronic has secured approval from the US Food and Drug Administration (FDA) for its CoreValve Evolut Pro transcatheter valve to treat severe aortic stenosis. The approval has been granted for the Evolut PRO device to treat severe aortic stenosis for symptomatic patients who are at high or extreme risk for open heart surgery. It was based on new 30-day clinical data, which demonstrated high survival and low rates of stroke minimal paravalvular leak (PVL) and better hemodynamics for the self-expanding valve. The Evolut PRO device includes an advanced valve design with an outer wrap, which adds surface area contact between the valve and the native aortic annulus to improve valve sealing performance. It is also integrated with biocompatible porcine pericardial tissue wrap to minimize the leakage of blood through the sides of the valve. In addition, the device features a self-expanding nitinol frame with supra-annular valve position that enables to improve hemodynamic performance. Delivered via EnVeo R delivery catheter system, the Evolut Pro device has been designed for vessels down to 5.5mm. It also enables to treat patients with smaller vessels through the preferred transfemoral access route. In the US, Evolut Pro system is available in 23mm, 26mm and 29mm sizes for the treatment fo patients. Earlier this month, the firm also secured FDA approval for Reveal LINQ insertable cardiac monitor (ICM) with TruRhythm detection, an advanced cardiac monitor that will help to better identify abnormal heartbeats. Medtronic cardiac and vascular group heart valve therapies business general manager and vice president Rhonda Robb said: "Medtronic remains committed to working with interventional cardiologists and cardiac surgeons to deliver solutions that address patient needs with the safety and performance profile they expect from Medtronic. "We are excited to introduce the next evolution of our Evolut TAVR platform to provide physicians with a comprehensive portfolio to address their patients' needs."